UFC 150 Henderson vs. Edgar Fight Pick | MMA Fighting Events Videos Techniques UFC Fight Picks and News. Henderson vs. Edgar 2 at UFC 150 will be a rematch of the fight where Edgar lost his title to Henderson. Can Edgar clean up his mistakes, capitalize on opportunities and pull the UFC lightweight title back? Or, will Henderson make this fight a repeat of their first match up? Let's take a closer look at these fighters and then I'll make my fight pick. 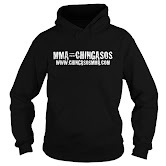 Benson Henderson came to the UFC lightweight division sporting a record of 12-2. Since his arrival, he's done nothing but win, including snatching away the UFC Lightweight title from Frankie Edgar in his 4th UFC fight. He hasn't had an easy road either. He has UFC wins over Marc Bocek, Jim Miller, Clay Guida and Frankie Edgar. Henderson is athletic, fast and has all the MMA skills to stay on top and hold the UFC Lightweight title for a long time. Frankie Edgar made a name for himself in the UFC Lightweight division by bringing the action and engaging in exciting fights. Beating B.J. Penn to win the UFC Lightweight title really put Edgar on the map. By beating B.J. Penn in the rematch, it put his doubters doubts to rest and it elevated him to superstar status. 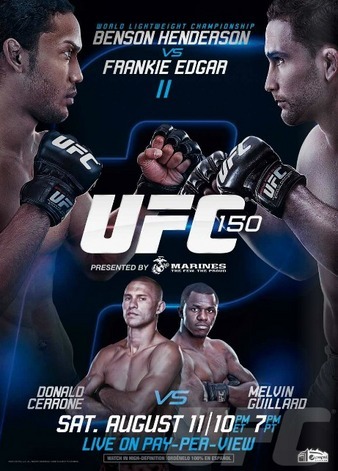 Henderson vs. Frankie 2 will be a chance for Edgar to redeem himself and regain the Lightweight title. Edgar has a chance to show the world that the loss to Henderson was just a fluke. Unfortunately for Edgar, I don't think that first loss to Henderson was a fluke. At Lightweight, Henderson matches up with Edgar's speed, yet he's bigger, stronger and a better striker. This fight might be the one that forces Edgar to go down a weight class to the Featherweight division, where he will size up better with the top fighters in the division. Look for Henderson to stuff takedown attempts from Edgar and use his reach and superior striking to pepper Edgar with chingasos for most of the fight. I'm picking Henderson in this fight, most likely by a unanimous decision.